Petrol gauge broken, anxiety and tempers flaring, young lovers Rex and Saskia, heading for the South of France, pull in at a service station to refuel. The moment they stop they make up and Rex buries two coins in the base of a fence post as a sign of their love. Saskia goes off to buy cold drinks and vanishes. Eight years later Rex is still haunted by her. Then one day he sees scrawled on the grime of a yellow car parked outside his window the words REX YOU'RE SO SWEET, and the obsession burns in his blood again. 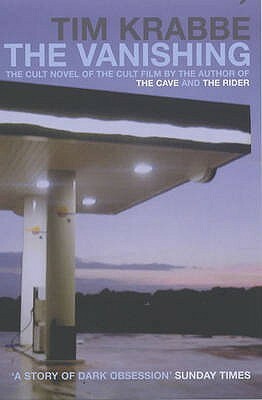 I'm yet to fathom why I utterly loathe every cult novel I choose to pick up. It could be something to do with the hype: the pretentious reviews declaring every apparent thriller a masterpiece. Perhaps it's the expectation of something new being crushed with every turn of the page, or the blame could lie with the many better written books I've experienced. The Vanishing seemed to me like something I'd enjoy. It's a mere 100-odd pages long, so I believed these meagre pages were going to pack a very strong punch. I soon discovered a very bland, detached tale of abduction, one which evoked nothing more than languor in my limbic system. There is absolutely nothing original or striking here; girl goes missing, guy mourns and tries to find her for eight years, guy bumps into murderer, spoiler spoiler spoiler, the end. I'd love to say this would perhaps be better in the original Dutch, but I don't hold much store by that suggestion. The plot was pitiful. The characters are one-dimensional and as dull as an afternoon in the British Lawnmower museum. Krabbé did nothing to make me hold onto them, and I was almost glad of the protagonist's ultimate situation. Even the middle third, where we venture into the mind of the villain, was weird, disjointed, and completely lacking any sort of justification. Once again, other reviewers see something wonderful that I've missed completely. My literary maturity is either off the scale, or seriously lacking.